From the side, this looks very much like a GM product to me. For some reason. Upfront, it is basically a bigger Santa Fe with more bits and chrome. 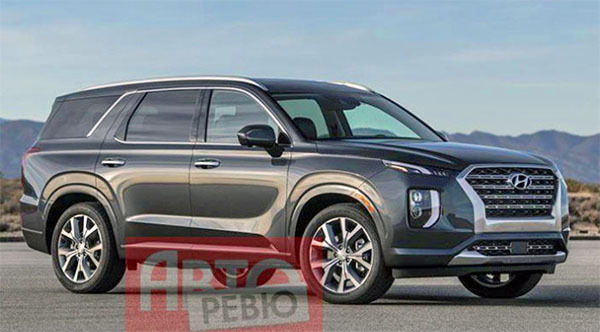 Here is what the new Palisade is based on: the Grandmaster Concept. And yes, the Grandmaster should have become a Genesis SUV. Not a Hyundai. Wow.... looks like a GMC Arcadia made love with an ugly Lexus grill. Very nice. These guys are truly moving upmarket. Good for them. And if, to some eyes, it looks like the Acadia, if I were GM I would be worrying. One of the worst front ends on a modern car. Almost has the Avalon beat. That chrome is just putrid. Such lazy, dated detailing for it to (like a late 2000s pickup truck). Ruins an otherwise fine looking SUV. Hyundai has fallen so far from their design grace a few years back. More messy, less taste. Vince, This is a Russian CG. Not real at all. I like the Telluride design better. This is not ugly. 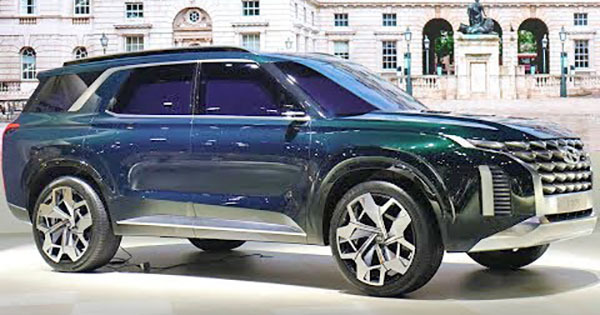 But to me the Teeluride looks more of a Truck.this looks like a GMC or old Saturn Outlook/Acadia. I like the Acadia. Reminds me of the Chevy Traverse, not a bad thing to look like. It looks upscale for a Hyundai. Lovely design and I like the grille. Every one is heading in the same direction anyway. And they just hired a Lambo/Bentley executive to head up their design. A V8 would be a stupid move however.